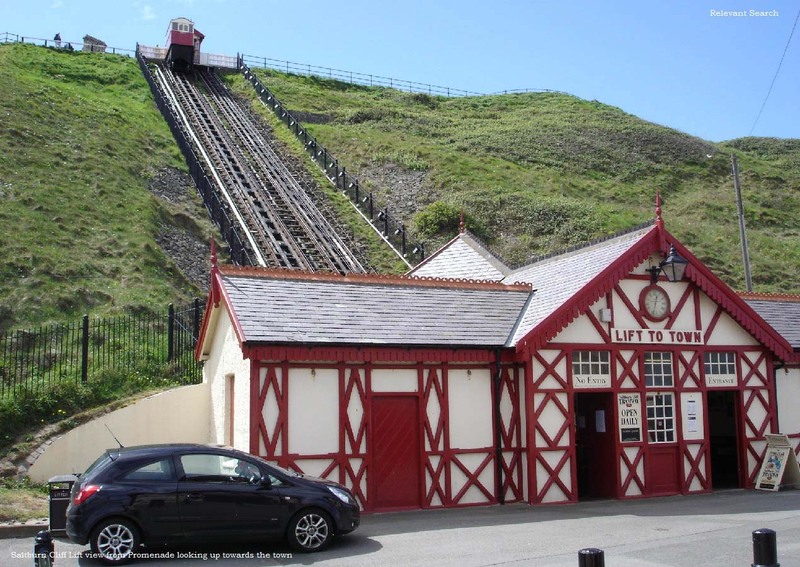 Saltburn or Saltburn-by-the-Sea is a beach resort in the borough of Redcar and Cleveland, in North Yorkshire / England. 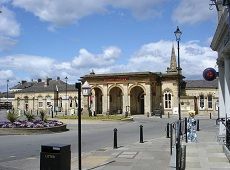 The town is situated about 12 miles east of Middlesbrough, 5 miles south of Redcar, 9 miles north of Whitby. 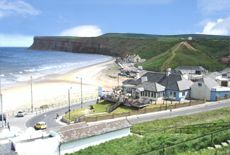 Saltburn started off as a row of houses along the beach towards Huntcliff. The village was well known for smuggling, with the most famous smuggler being John Andrew, landlord of the local Ship Inn from 1780. The Government had imposed heavy taxes on imported goods around that time, such as gin, tea, brandy and textiles. Smuggling was the way to avoid taxation. 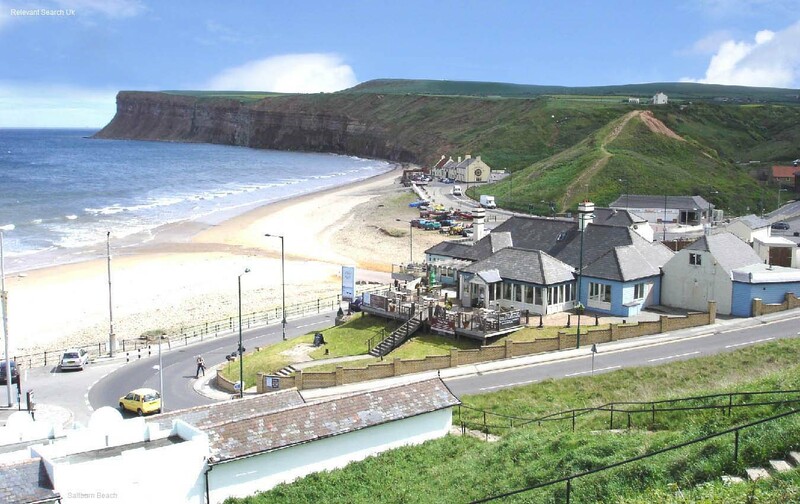 The Saltburn that is seen today, has most of the buildings built high above the beaches, many from the 1860s. These were mainly built to create a holiday town, planned by Henry Pease, who controled of the railways in the area. 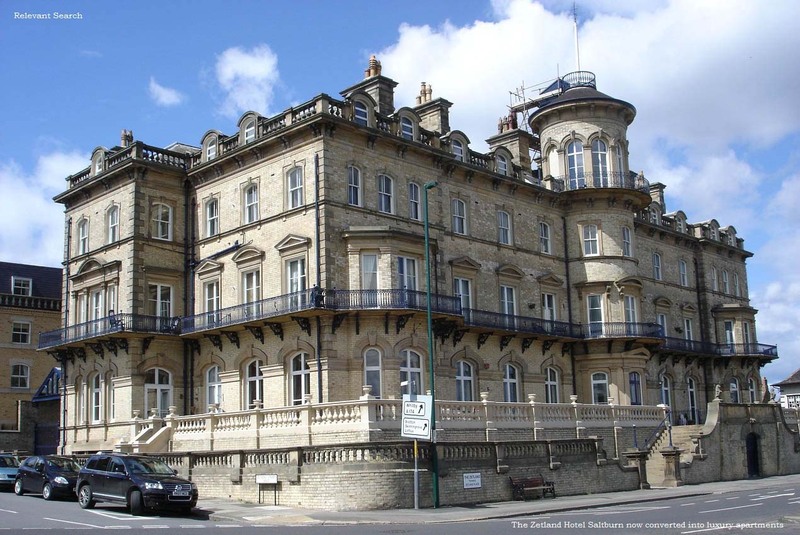 The Railway reached Saltburn in 1861, and the Zetland Building was completed in 1863, to serve as a top Railway Hotel. 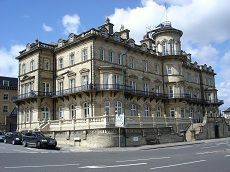 Decline in tourism to the area in the 1980s, led to the Zetland Building being converted to luxury flats. 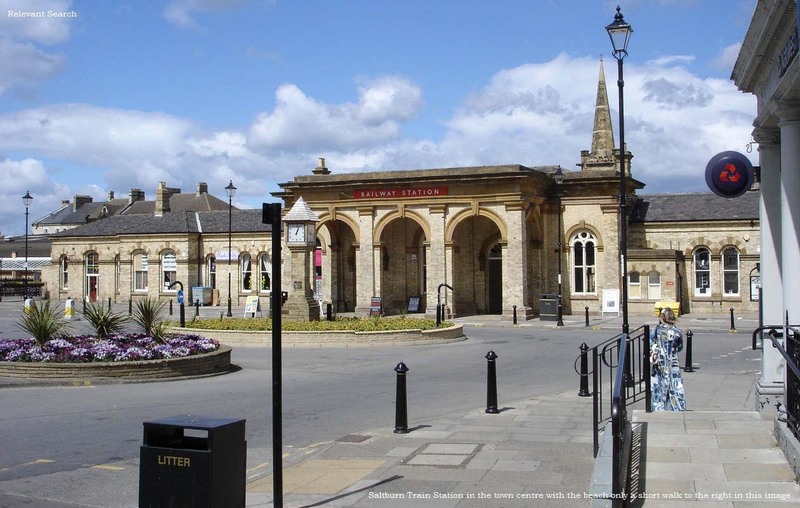 Regular trains still run from Darlington and Middlesbrough. 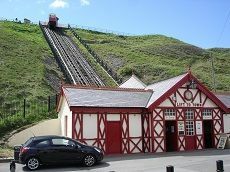 The Saltburn Cliff Lift opened on Saturday 28th June 1884, to make easy travel between the town and beach, about a 120 foot climb, price about £1 each way. 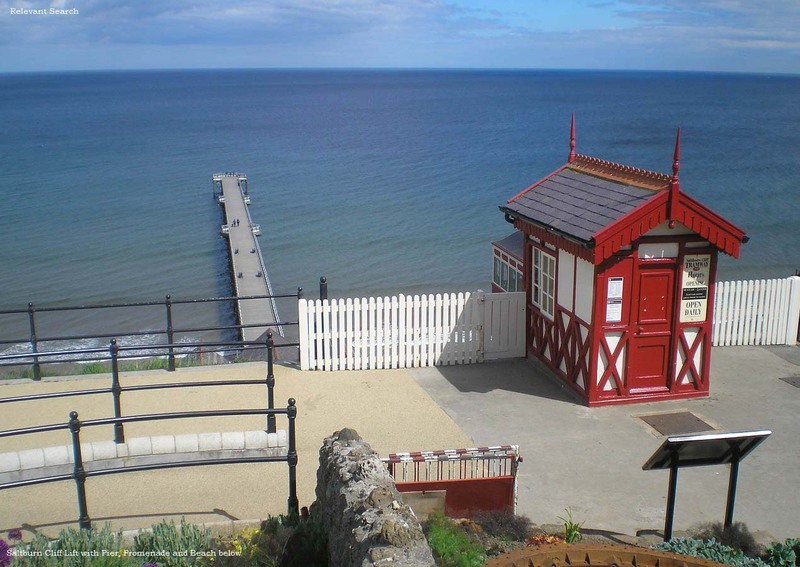 The 1,500 feet Saltburn Pier opened in May 1869, with a landing stage at the end of the pier for steamers. The first steamers used the pier on the 14th May 1870, starting a service between Saltburn and Middlesbrough. The beach to the south of the Pier, heading towards Huntcliff, has a popular diner Vista Mar with a large terrace. 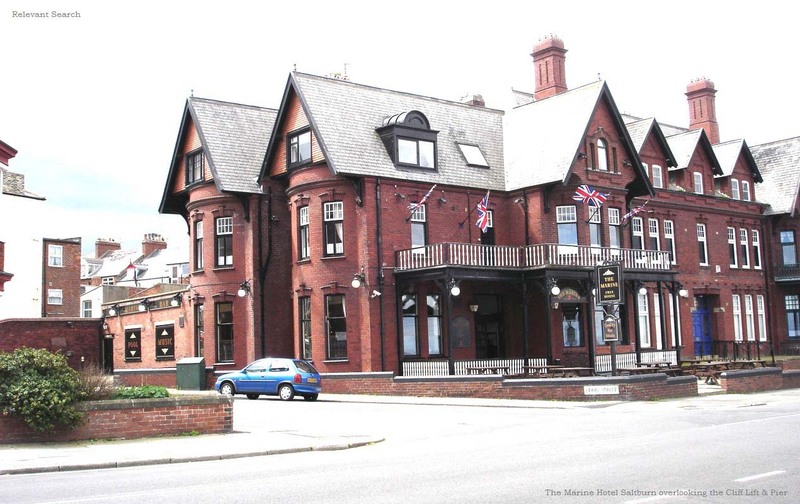 The historic Ship Inn is situated a few hundred yards further south, offering drinks and meals. 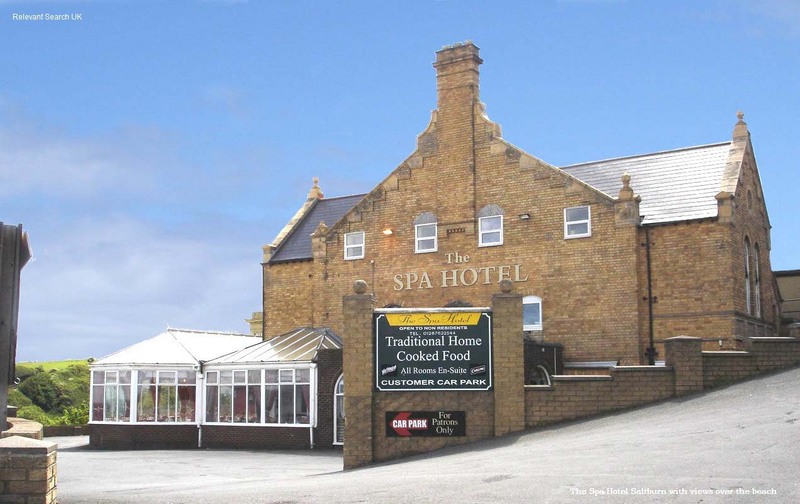 The Spa Hotel is situated next to the road that leads down to the beach, with excellent views from its Ridley's Bar and adjoining Conservatory Restaurant. 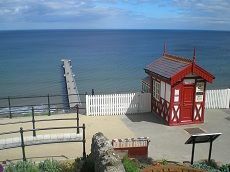 The Marine Bar/Diner is situated about one hundred yards north of the top station of the Cliff Lift. 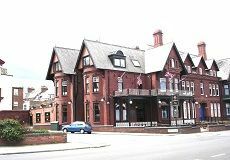 The Rushpool Hall Hotel and holiday lodges are situated in a 90 acre estate, just over 1 mile southwest of the town centre. The towns main attractions are now the fish & chip shops, ice cream shops, cafe's, bar/diners, surfing, sunbathing on the long golden beaches, miniature railway, large kids play areas by the miniature railway, woodland and garden walks where the railway runs, and the well marked part of the Cleveland Way walking route that crosses over the 300 ft Huntcliff to the town of Skinningrove 3 miles south. The 666ft Boulby Cliffs walk starts from the south side of Skinningrove if you want to extend the walk. The Saltburn Surf School for lessons is situated by the Pier.. History by Wikipedia.